Longines is the major and well-known company. If you started interest in vintage watches, you want to get some well-mannered vintage Longines for your wrist. All Longines movements has serial numbers which allows to determine production dates. This movement was made in the end of 1904. 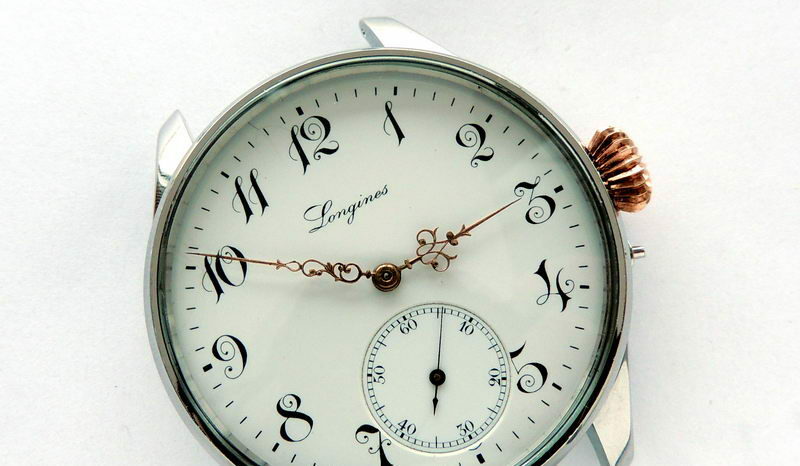 Note original enamel dial in near-to-perfect condition, fancy numerals and gracious hands. Rolled gold crown complements a look. Gilt high-grade movement seen in glazed caseback.